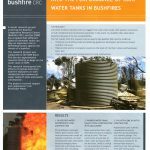 We have been manufacturing the Highest Quality BlueScope Steel Aquaplate® Rainwater Tanks for over 20 years and we are now selling PIONEER Water tanks in the Hunter Valley and Central Coast. We also supply a wide range of accessories while providing a professional, friendly & reliable service. Aquaplate® Tanks come complete with mosquito proof inlet strainer & overflow, 25mm rigid fitting and ball valve. 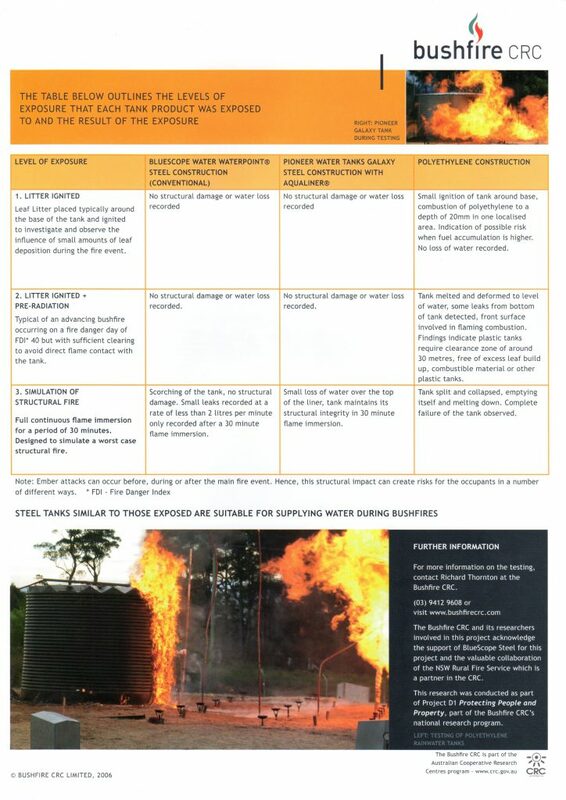 Tank accessories available Eg: pumps, fire pumps, Storz fittings, dual water supply, house filters and diverters, stands and installations, water levels. 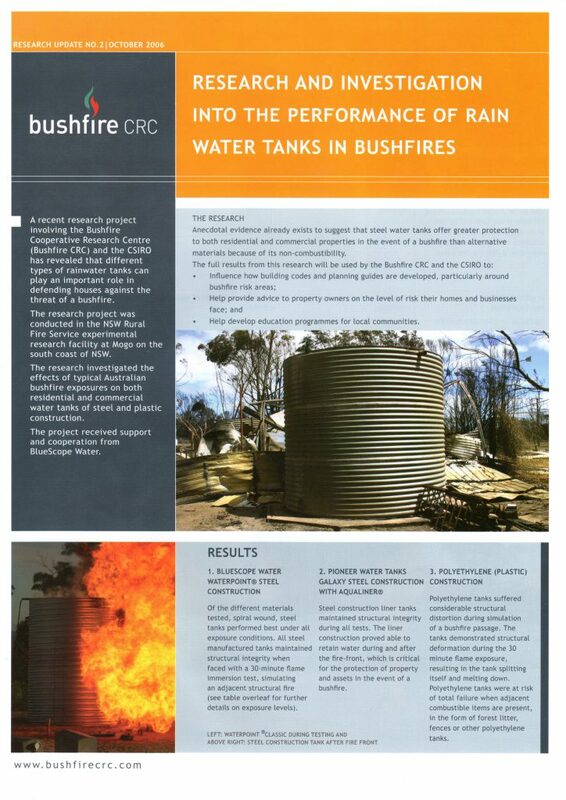 Research from the Bushfire Cooperative Research Centre and the CSIRO show the importance of good steel tanks when it comes to surviving bushfires. 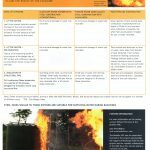 Read more in the following documents.